The Yamaha MT-03 marks the firm’s latest addition to the hugely popular and successful MT family. 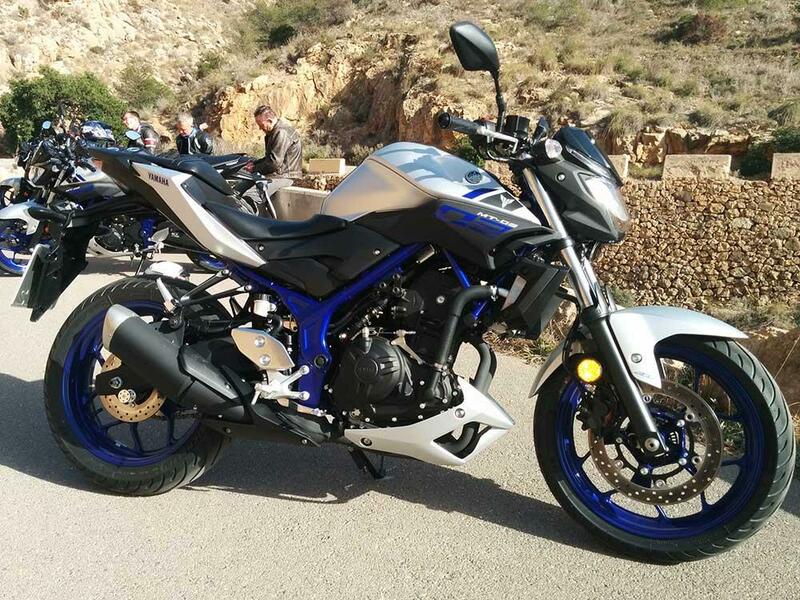 In a bid to attract newer riders and A2 licence holders Yamaha released the YZF-R3 back in 2015 and now the firm has redesigned the sportsbike and turned it into the MT-03. 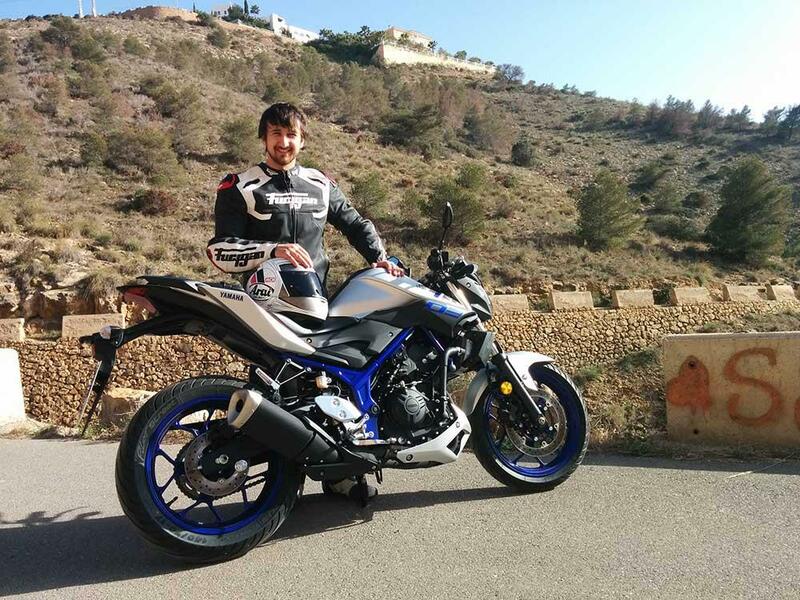 The engine, chassis and wheels all remain exactly the same as the YZF-R3. The only changes are in the styling and a small ergonomic tweak. The MT-03 does away with the sports bike fairings and gets a standard MT headlight complete with LEDs (both front and rear), mini headlight cowl and a short, sharp tail unit. The YZF-R3’s clip-ons have been ditched in favour of a standard handlebar, which is now 39mm higher, 19mm closer and 40mm wider than before making the riding position more upright and comfortable. The seat height remains the same at 780mm, which is easy for my 5ft 7in frame to have both feet flat on the floor. And that’s about it as far as changes go. All the R3’s fantastic qualities get passed onto the MT-03. It has all the benefits of a lightweight machine in a fun and engaging big-boy chassis, coupled with an incredibly flexible and free-revving engine. The 321cc parallel-twin motor won’t lash out at new riders with eager wrists and it won’t complain if more experienced hands grab it by the scruff of the neck to see what it’s made off. Yamaha has priced the new MT-03 competitively at £4,499, which works out £300 cheaper than the YZF-R3 and only £400 more than the MT-125. The MT-03 slots perfectly into the MT range as it’s another stonking machine with a hugely competitive price tag, just like the rest of its family.